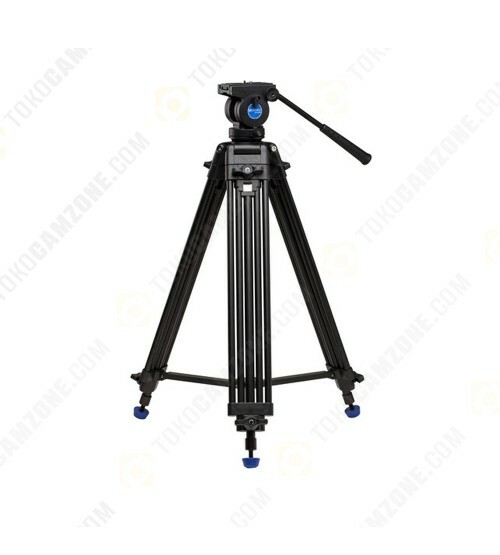 The Benro KH25N Video Tripod Kit is a sturdy, twin-leg video tripod solution designed for compact camcorders and DSLR/mirrorless camera rigs weighing up to 11 lb. 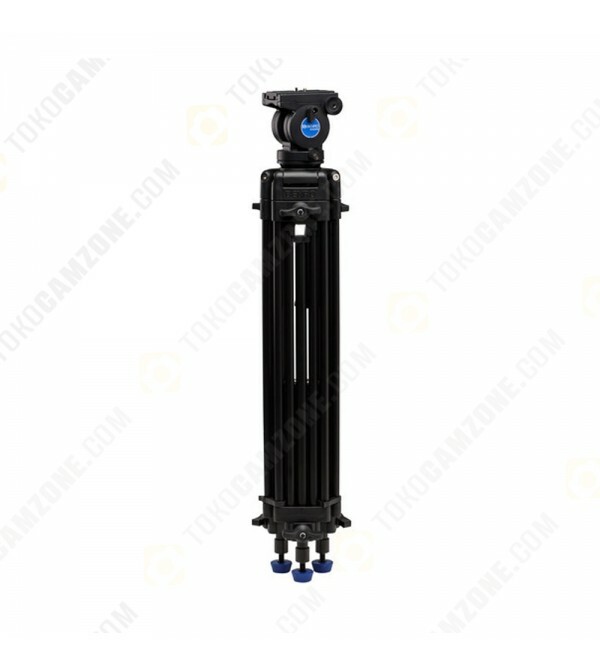 The system features dual-stage aluminum legs and a 60mm ball video head for quick leveling. The head has fixed pan/tilt drag with independent pan/tilt locks and uses a sliding quick release plate for camera attachment. The tripod incorporates a mid-lever spreader for enhanced rigidity, and offers a working height range of 28.9 to 61". The legs are independently adjustable and are secured in place using twist-lock levers. For use on a variety of indoor and outdoor surfaces, the legs feature rubber feet that can be rotated to reveal metal spikes. The entire system folds up to a length of 30.5" for storage and transport inside an included padded carrying case.